Floor sealing is the process of adding a protective clear coat to a surface in order to serve as a barrier between the surface and other materials. This helps to prevent staining, water damage, etching, and more. At Modern Stone Care we specialize in natural stone flooring services. While we service a wide variety of natural stone flooring, we specialize in granite, marble, travertine, limestone, and slate flooring. We have years of experience working with these stones and are the Katy floor sealing experts! Why do we need to seal our floors? Natural stone is a gorgeous and material choice for flooring, with growing popularity in homes and businesses. Natural stone is a more expensive choice than tile or linoleum, however when natural stone is taken care of properly it can last for decades and decades. A huge influencing factor when it comes to increasing the lifespan of your natural stone floors and protecting your investment is properly sealing your stone. Natural stone is a porous material, meaning below its surface it is full of many hollowed out pathways and holes. This leaves your stone flooring vulnerable to liquids, dirt, grime, dust, and other particles or materials entering through the surface and penetrating the stone. Once the surface of the stone has been penetrated by these materials, damage will become harder to avoid and may lead to permanent changes in your stone. How long will a floor sealing last? The length of time a seal will last on natural stone floors depends on the amount of traffic on the floors. 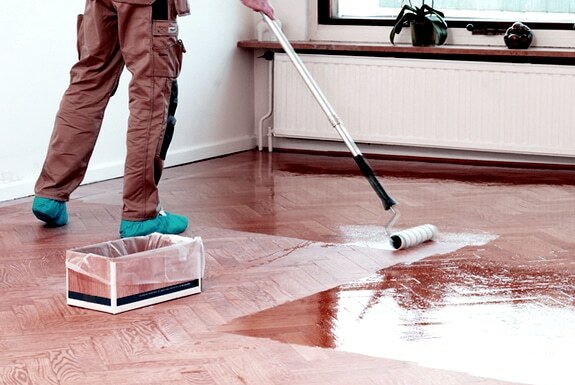 It is recommended to have your floors sealed at least once a year. However, if you have a high traffic zone, such as an entryway, or have pets or children who are more likely to track in moisture and dirt, you may want to consider having your stone floors sealed twice a year, in order to ensure the longevity of your flooring.